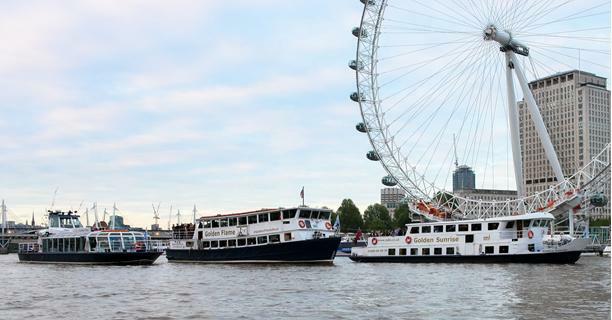 "The party girl and her friends all said what a memorable night it had been and they loved all the views of London"
We own four party boats available for hire on the Thames in London. 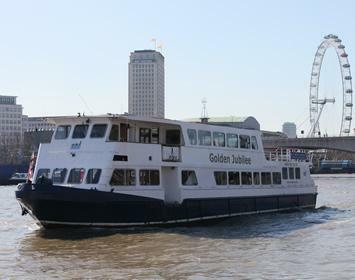 Will you choose to hire the small but perfectly formed Golden Star, the spaciously elegant Golden Jubilee, the generously appointed Golden Flame, or the newest addition to our fleet, the stunning Golden Sunrise? 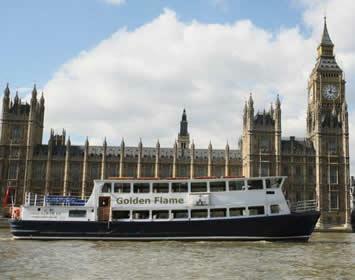 Join us aboard the Golden Flame party boat as she cruises the River Thames in London. 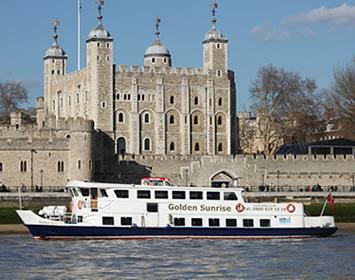 Click here to watch night fall and the lights come on in London as we cruise from Central London to the Thames Barrier and back again - in under 3 minutes!